I have been searching for a link between mouth ulcers and seizures in cats. I have a friend who’s 10-year-old cat has sadly just died having been diagnosed with diabetes. The cat had mouth ulcers and had a seizure. It seems to me that at aged ten illnesses caused by old age can be eliminated from this research. There is a connection between mouth ulcers and seizures and it is kidney disease. I am not saying that this is a definitive reason for a cat to have mouth ulcers and seizures. I am not a vet but I am a good researcher. Firstly, the best website on feline kidney disease (Tanya’s comprehensive guide to feline chronic kidney disease) tells us that it is not uncommon for a CKD (Chronic Kidney Disease) cat to have diabetes. And in diabetic people kidney disease can be present. And kidney disease can cause ulceration of the gums due to a build up of toxins. Uraemic waste (waste that would normally be excreted but for failing kidneys) is converted by mouth bacteria into ammonia (Tanya). There is therefore a connection between kidney failure and mouth ulcers in cats. How about seizures? Most ‘classic seizures’ are caused by acute poisoning. 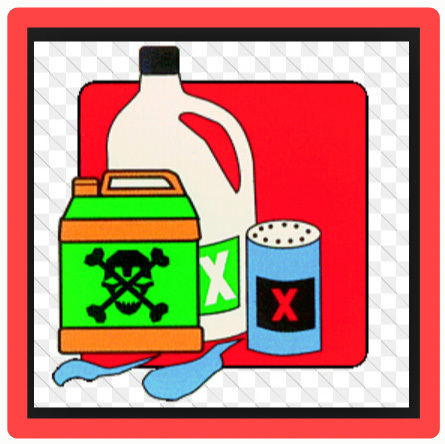 Common poisonings are caused by a long list of substances but often include: rat poison, insecticides, antifreeze (ethylene glycol) and organophosphates (a pesticide). Kidney failure causing an accumulation of toxins in the blood can cause seizures and coma. The next and last connection is between poison and kidney disease. Yes, poison can cause acute kidney failure. Typically ethylene glycol in various products including car antifreeze and snow globdes, Easter lilies, pesticides and cleaning fluids can cause acute kidney failure in cats. Acute kidney failure occurs suddenly and dramatically whereas chronic kidney failure (CKF) occurs gradually. Among other causes various toxins can cause CKF such as heavy metals e.g. mercury, lead and thallium. Conveniently, I have recently written about a dry cat food in America which contained elevated levels of mercury and lead. It appears that tainted cat food could, over time, damage a cat’s kidneys. High levels of certain antibiotics can damage the kidneys. Conclusion: there is a clean connection between feline mouth ulcers and seizures. And a possible route is: poison to kidney damage to mouth ulcers to seizures. An alternative route would be diabetes to kidney disease to toxin build up to mouth ulcers and seizure. I have deliberately limited this discussion. There are other reasons for kidney disease such as: trauma, shock, blood clot, heart failure, lower urinary tract blockage. Sources: Tanya, Cat Owner’s Home Veterinary Handbook, PoC, myself, Wikipedia, PetMD. P.S. This article is dedicated to my friend’s cat who was much loved. This entry was posted in mouth disease and tagged acute kidney disease, antifreeze, antifreeze poisoning, cat mouth, cat poison, chronic kidney disease, mouth disease, mouth ulcers, plants poisonous to cats, poison, renal failure, sore mouth by Michael Broad. Bookmark the permalink.